At Astoria Dental Group, we are committed to providing our patients with strong, healthy smiles that they can feel confident sharing. Dental implants are titanium posts that are surgically embedded in the jaw bone to replace lost tooth roots and provide a secure foundation for restorations. We offer several types of implants, including mini dental implants, at our Queens practice. These implants usually do not require a preparatory bone graft, and can be restored immediately following placement. You can find out if mini implants are right for you during an examination and evaluation with our highly trained implant dentist, Dr. Clifford Degel. Contact our office today to schedule your initial consultation. 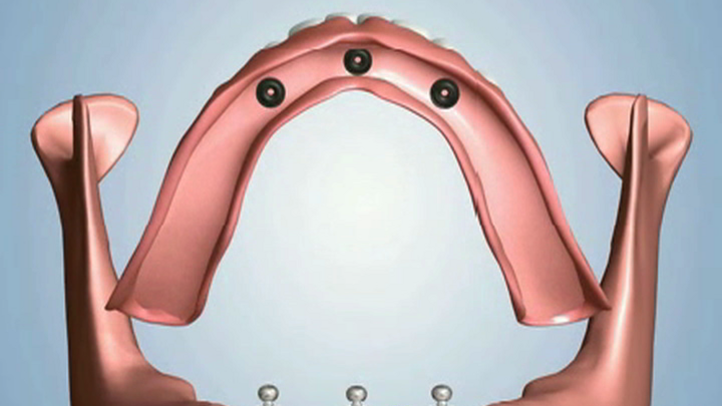 Convenience: Mini implants can often support dentures the same day they are placed. Patients can leave our office with fully restored function and a natural-looking smile in as little as one appointment. Compatibility with jaws that have experienced some atrophy: Patients who have waited to replace missing teeth usually require a bone graft before they can receive traditional dental implants. Thanks to their smaller diameter, mini implants require less bone mass for support, and may not require a bone graft. Minimized risk of complications: The minimally invasive technique used to place mini implants naturally reduces risks as well as recovery time. Additionally, mini implants offer many of the same benefits that have earned traditional dental implants recognition as a superior restorative solution. Mini implant-supported dentures will not slip out of place, and do not require messy adhesives. With proper care, mini dental implants can provide a lifetime of support for your dental prosthetic. Most importantly, mini implants and traditional implants alike preserve the health of the jaw bone and can halt further atrophy. Missing teeth can significantly impact your quality of life, but you have treatment options that can easily restore your bite and your confidence. Contact our practice today to schedule a consultation and learn more about your candidacy for mini dental implants.